The Draft Adirondack Rail Trail Conceptual Plan has been released for public review and comment. 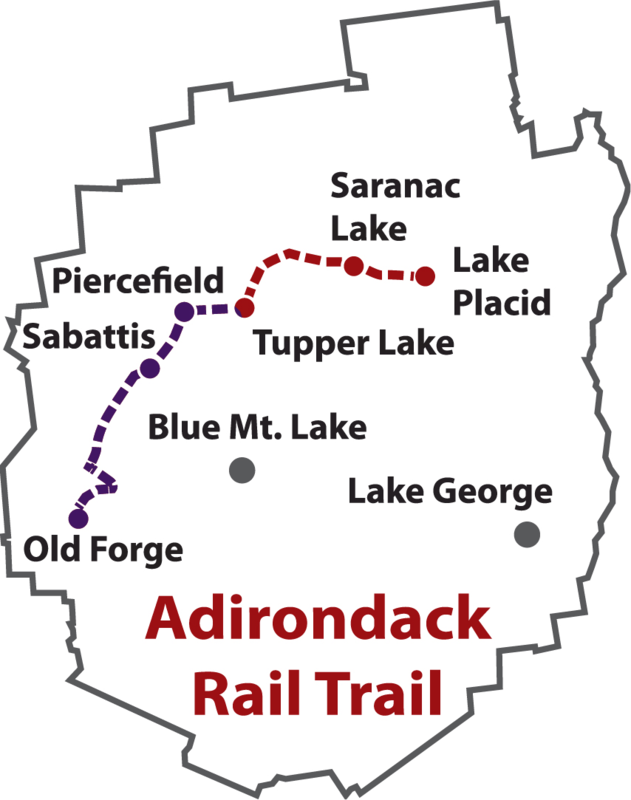 "The Draft Adirondack Rail Trail Conceptual Plan is an important step in developing a unique, world class outdoor recreation trail like no other in the Adirondacks, New York State, or the nation," said DEC Commissioner Basil Seggos said in a statement issued late Monday. "The rail trail will connect the villages of Tupper Lake, Saranac Lake, and Lake Placid, providing visitors and residents with new opportunities to walk, hike, and bike in three seasons, and cross-country ski, snowshoe, and snowmobile in winter, boosting local economies in surrounding communities all year long." The draft plan provides design recommendations based on the input from the Adirondack Rail Trail Stakeholder group. The shared goal of DEC and the Stakeholder group is to develop and manage a recreational trail that maximizes public use by residents and visitors of all abilities, ensures a safe and enjoyable experience for trail users, and minimizes negative effects on natural resources, adjacent residents, and other trail users. The draft plan describes a 10-foot wide stone dust tread for the full 34-mile length of the trail with shoulders a minimum width of 2.5 feet on each side. The trail and its amenities will comply with American Disabilities Act (ADA) requirements to the maximum extent possible to ensure it is accessible for use by people of all abilities. The trail will also connect to numerous hiking, biking, paddling, fishing, and camping opportunities on the adjacent lands and waters of the Adirondack Forest Preserve. DEC will also hold two meetings with an availability session from 3 to 5 p.m. and a public meeting from 6 to 8 p.m. DEC will answer questions and accept comments during each of the two afternoon availability sessions. DEC staff will share a presentation and offer the public the opportunity to comment on the draft plan during the evening public meetings. The first meeting will be held on Tuesday, May 9, in the Community Room of the Tupper Lake Emergency Services Building at 31 Santa Clara Ave., Tupper Lake, NY. The second meeting will be held on Wednesday, May 10, in the main conference room of the DEC Region 5 Headquarters at 1115 State Route 86, Ray Brook, NY. The Draft Conceptual Plan is available to view or download on the DEC website at http://www.dec.ny.gov/lands/62816.html. Copies of the Draft Conceptual Plan are also available for review at DEC Region 5 Headquarters in Ray Brook and the municipal offices of the villages of Tupper Lake, Saranac Lake, and Lake Placid, and the towns of Tupper Lake, Santa Clara, Harrietstown, and North Elba.